oin us at HARBOUR LIGHTS Nightclub for the best DINNER SHOW & Beach Extravaganza in Barbados. 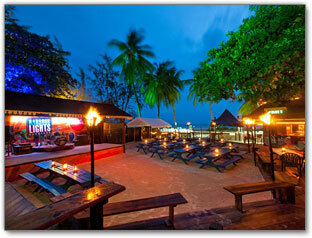 Harbour Lights Barbados is the island's most popular, tropical and trendy Night Spot. This is the place you would rather be every Monday, Wednesday and Friday. Harbour Lights an exclusive open air beach front night club offers some of Barbados' best nightlife with a distinct Caribbean atmosphere. It appeals to both locals and visitors alike. So whether you want to dance to some of the best club music around ...or just ...lime by the bar on the free drink nights ...Mondays, Wednesdays and Fridays. You are guaranteed a GREAT time at Harbour Lights! FREE Drinks! Rum, Gin, Vodka, Rum Punch, Beer, Soft Drinks and Juices, all included with cover, great value for your money! Swaying palm trees, calypso playing and sand beneath your feet, now you know you are in the Caribbean. Come in your shorts and sandals and be prepared for a night to remember. All ages welcome (7pm - 10:30pm) on Mondays and Wednesdays only. Age limit enforced after 10:30 pm. The night club continues, with Free Drinks until 2 a.m. and DJ music. Dinner show guests are welcome to stay on at no extra cost. HARBOUR LIGHTS DINNER SHOW is not to be missed! Book here Today! Restaurant & Bar, Beach rentals, Showers & changing rooms, all for your convenience ...enjoy a day at the beach with Harbour Lights Barbados. Join us this Crop Over Festival season for a fun time with the "Blue Box Cart Kadooment Band" ...a spectacular carnival masquerade costumed band. Harbour Lights Club is located in the Historic Bridgetown & Garrison area ...a UNESCO World Heritage Site! It is also beachfront in the beautiful Carlisle Bay area. Click Here to BOOK your Dinner Show ONLINE TODAY!!! Send Harbour Lights Night Club & Dinnershow Postcard to a friend!